MushMauls are massive, lumbering brutes, covered with a a rough, warty skin. Each has multiple mouths on the top of a massive frame, the number of which increase with age. The creature has no eyes, and instead uses a bat-like sonar system of high clicks to navigate and a highly advanced sense of smell to track prey. 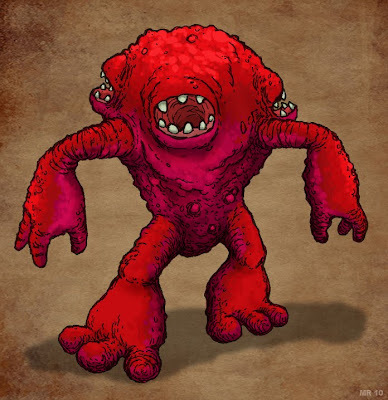 MushMauls are solitary creatures, and will attack any large animal which invades it's territory.